Well, this is big news. Toyota has finally replaced its long-serving Etios budget sedan and, surprise, surprise, the new second-generation model – which has just been launched in Pakistan – is based on the Perodua Bezza! 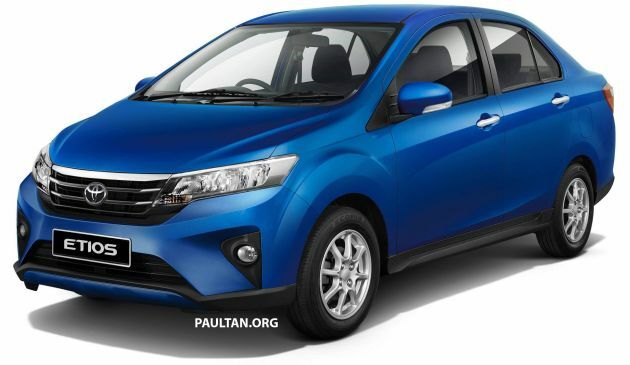 This is the first Toyota to be based on a Perodua, instead of the other way around. The Etios has been around since 2010, so the arrival of this new model gives Toyota a leg up in this competitive segment in the region, with new features such as Vehicle Stability Control (VSC) and the Eco Idle automatic engine start/stop system – the same items that can be found on the Bezza. However, this is not quite so simple a rebadge of the Perodua, as there are a few aesthetic changes on the outside. At the front, one can spot the new LED headlights with Front Outer Oblique Light, a form of adaptive headlight technology. The grille has also been made taller with horizontal slats, while the bumper design has been made sportier with triple downturned air intakes. Moving to the rear, the tail lights have been reprofiled with a slimmer shape, and the rear bumper gains a diffuser-like insert. Inside, the horizontal dashboard design is identical to the Bezza’s, with only the new Vios’ three-spoke steering wheel being the main difference. The Pakistan-market version also receives cruise control and an App Phone Receiver with Intelligent Logic head unit, which the Bezza does not have. Powering the Etios is the same 1.3 litre petrol engine as the Bezza, mated to a four-speed automatic transmission. Despite being slightly smaller than the outgoing 1.5 litre mill, the addition of Dual VVT-i means that it actually makes more power at 95 PS, although torque is slightly lower at 121 Nm. The 1.4 litre turbodiesel, meanwhile, solders on and makes the same 68 PS and 170 Nm as before. The new Toyota Etios goes on sale in Pakistan today, April 1, priced starting from 2,019,401 rupees. Thanks to reader Theophilus Chin for the tip! 59 comments | Leave a comment?